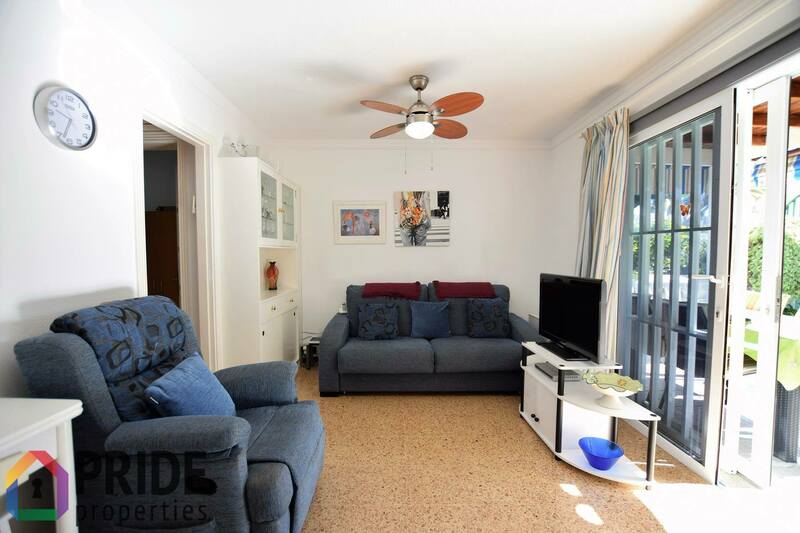 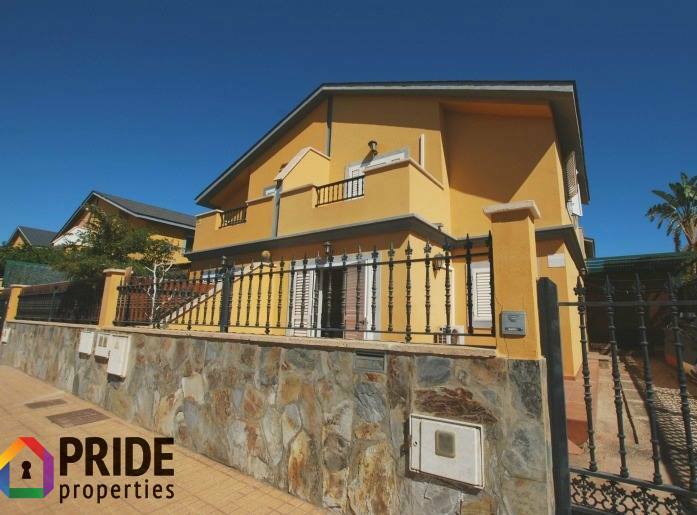 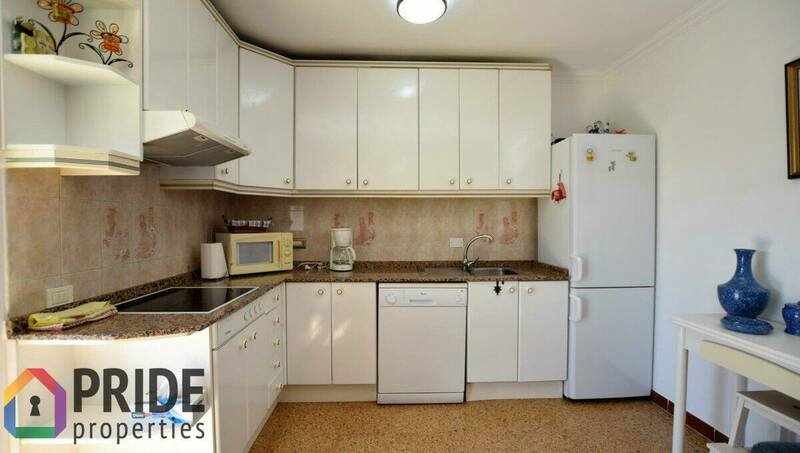 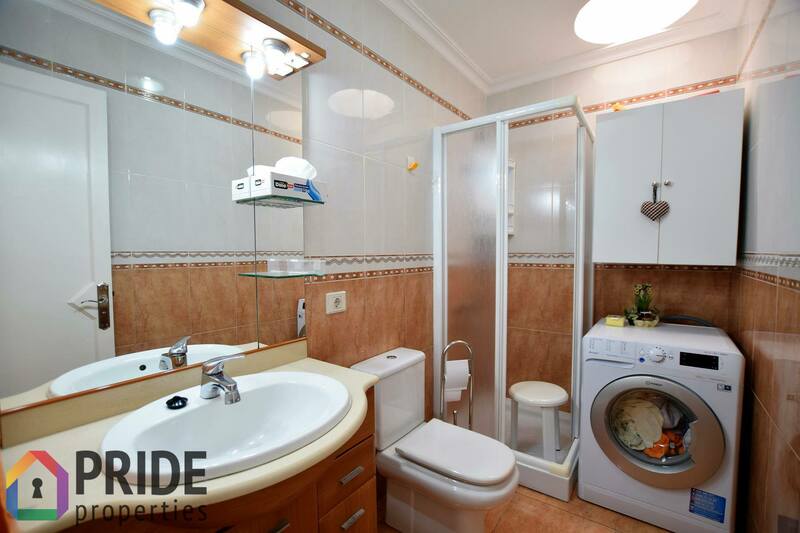 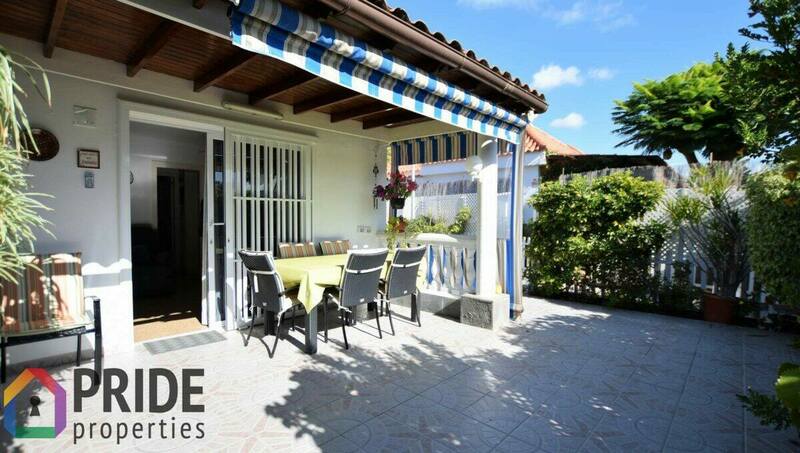 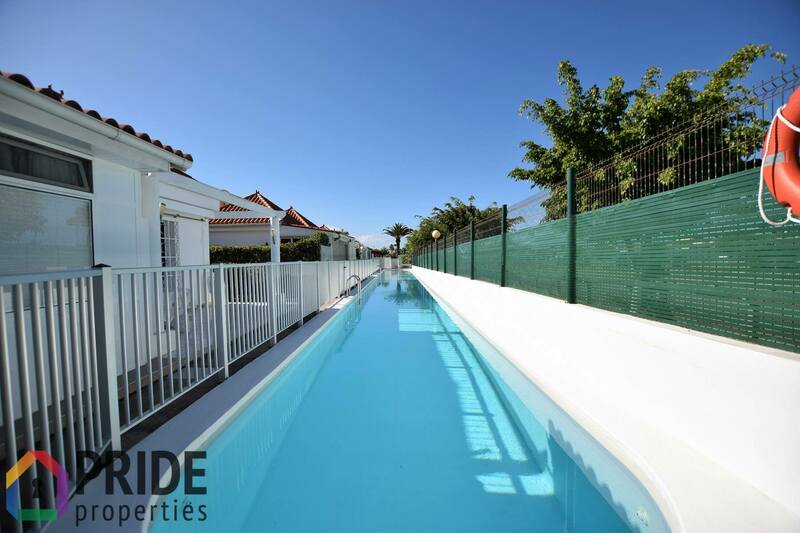 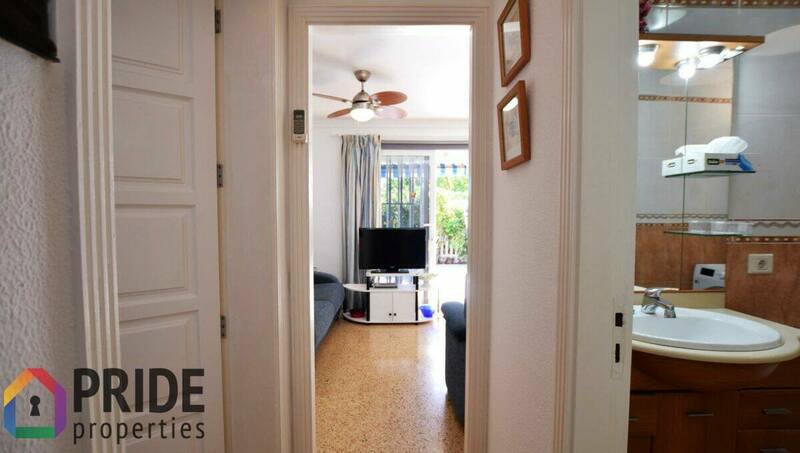 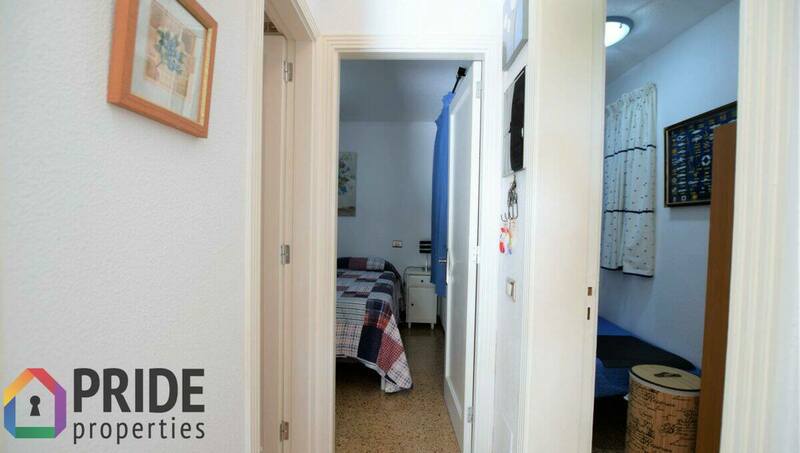 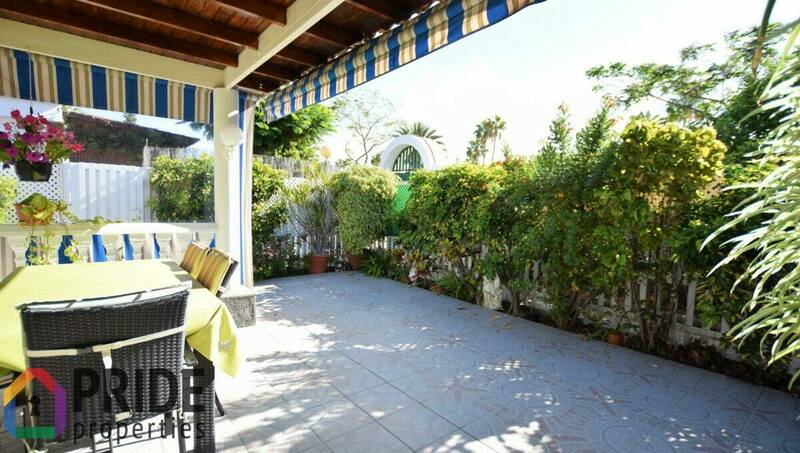 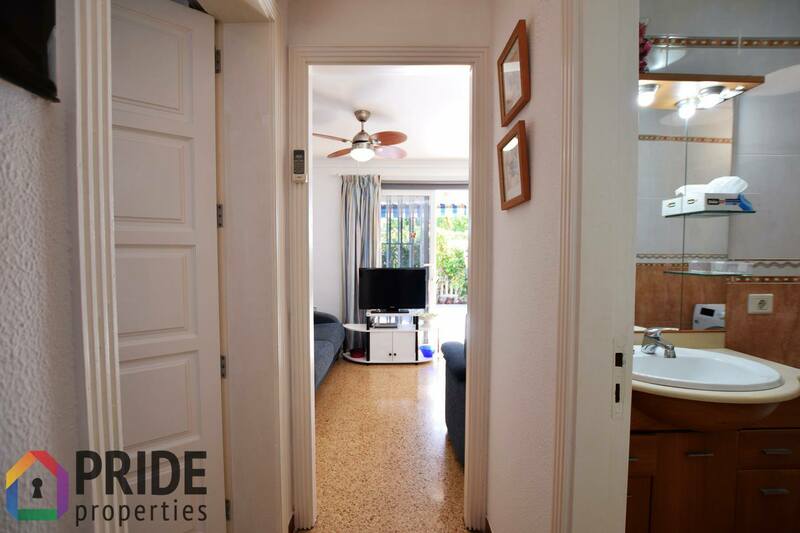 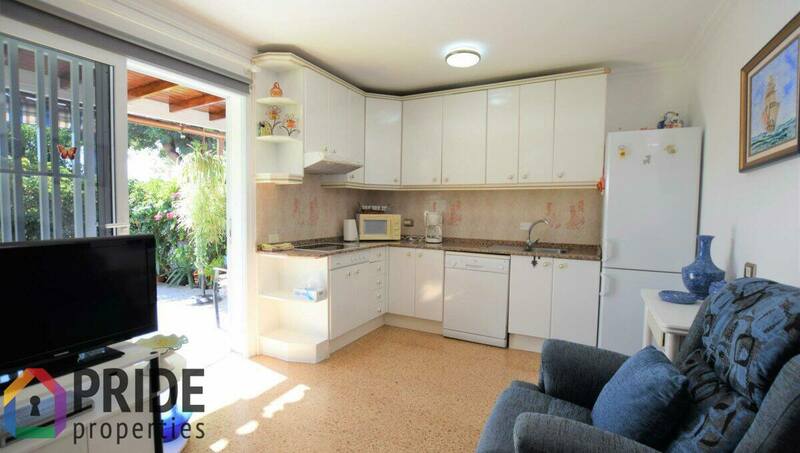 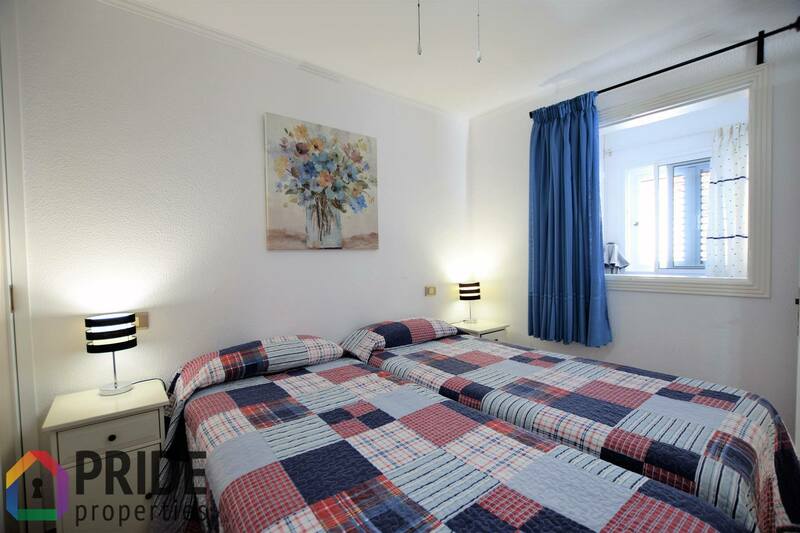 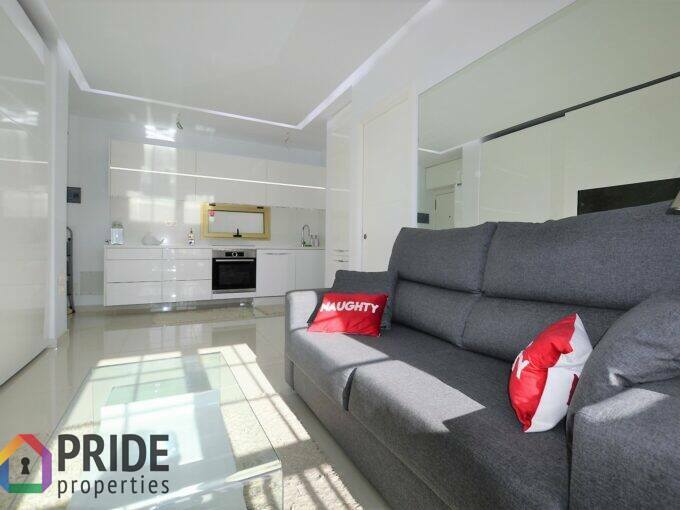 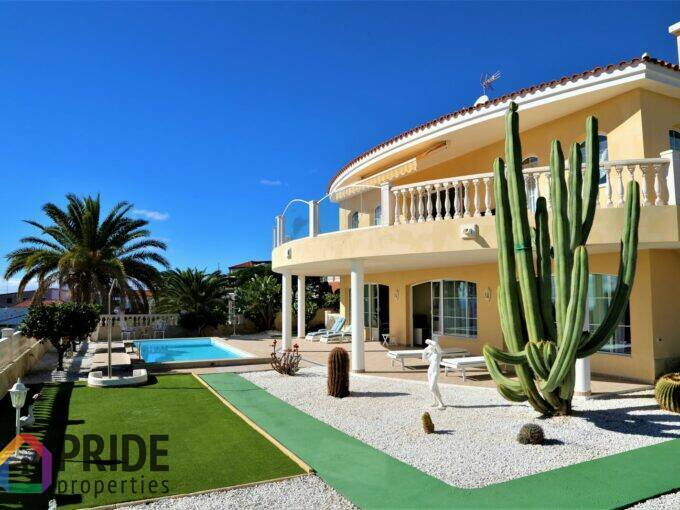 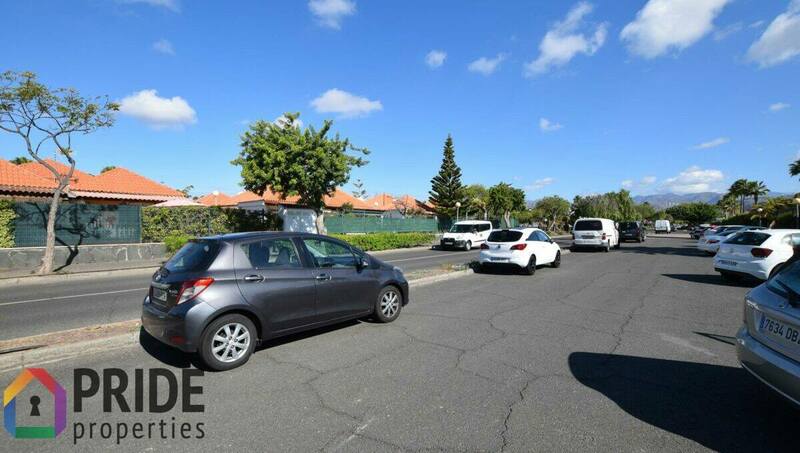 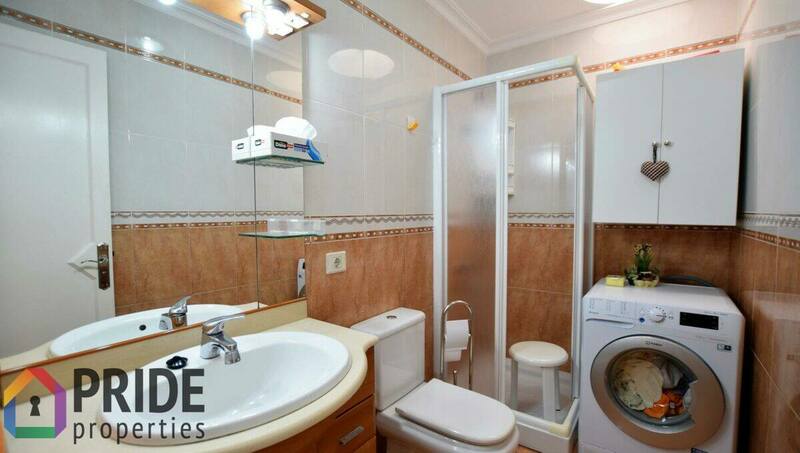 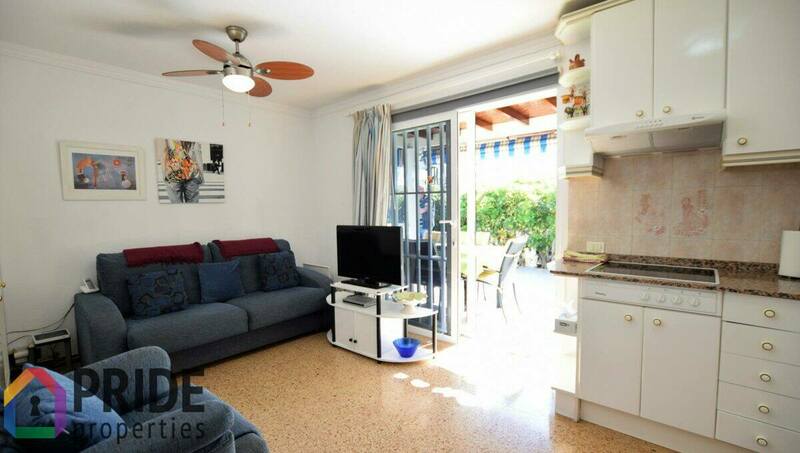 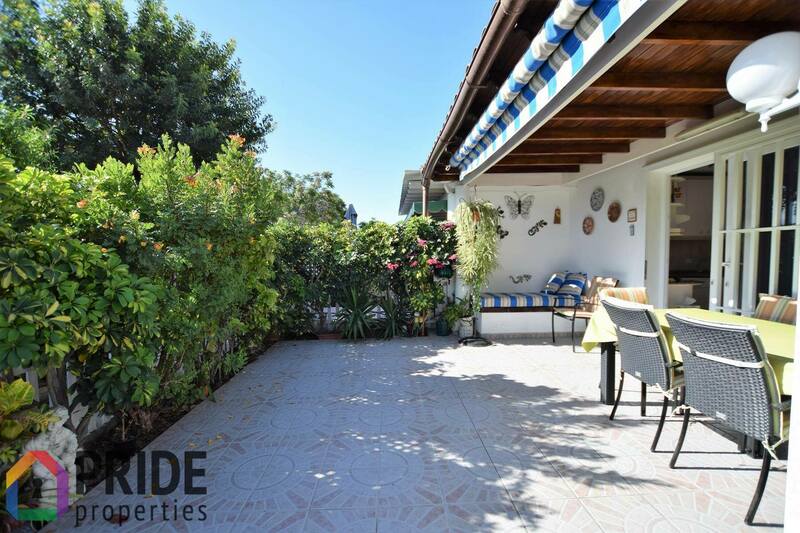 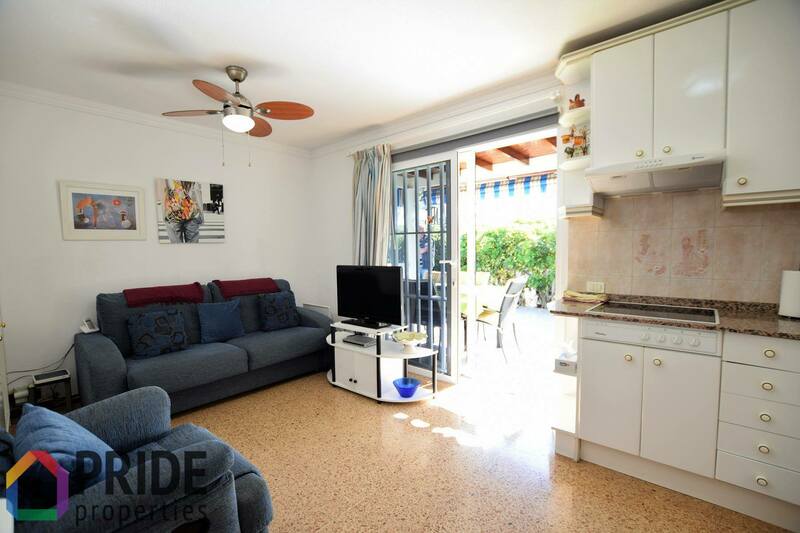 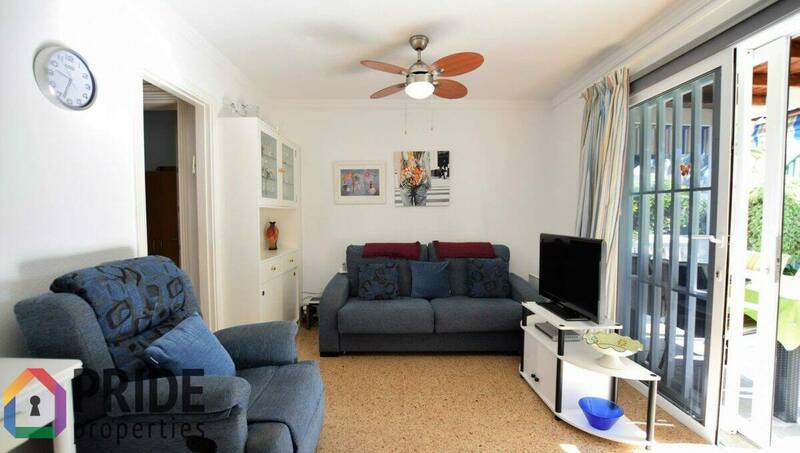 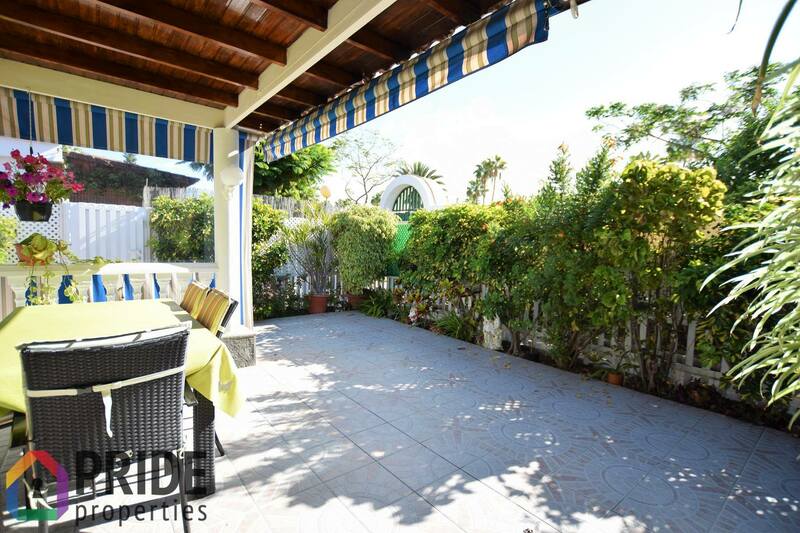 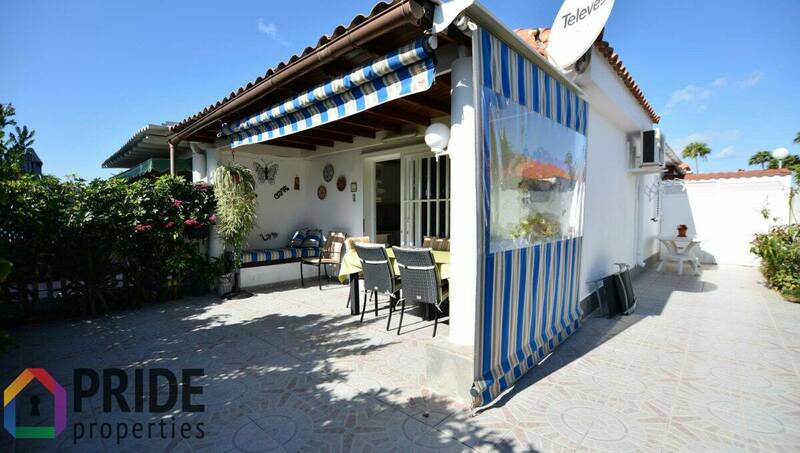 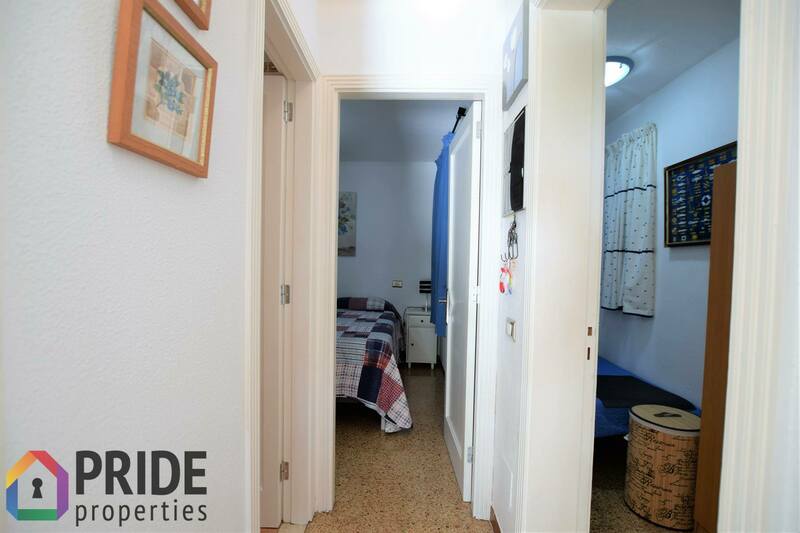 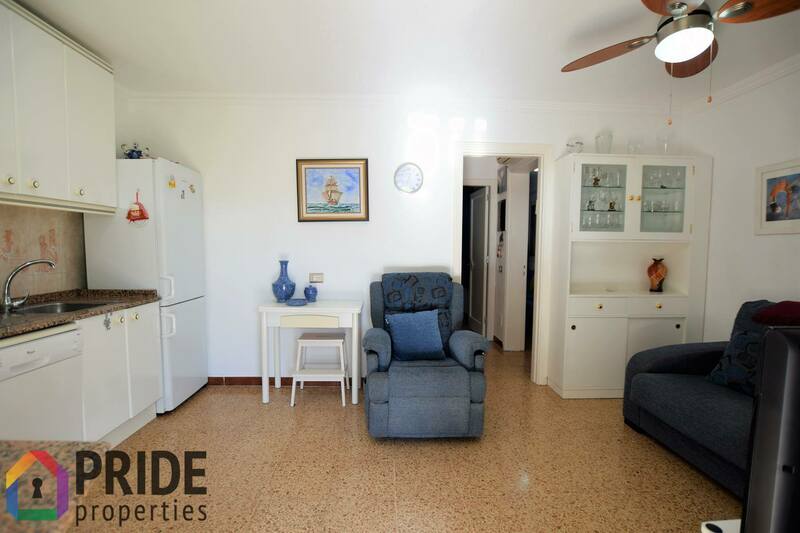 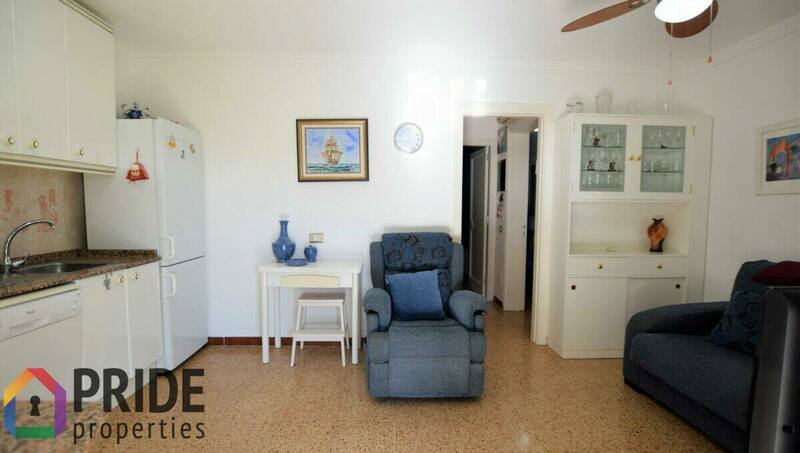 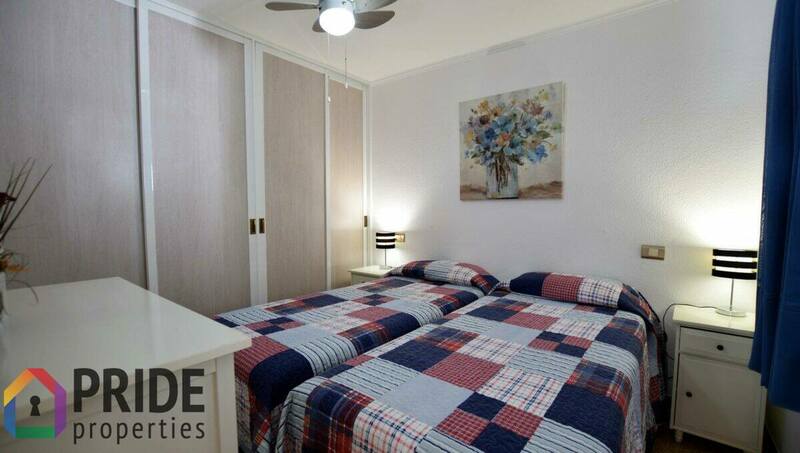 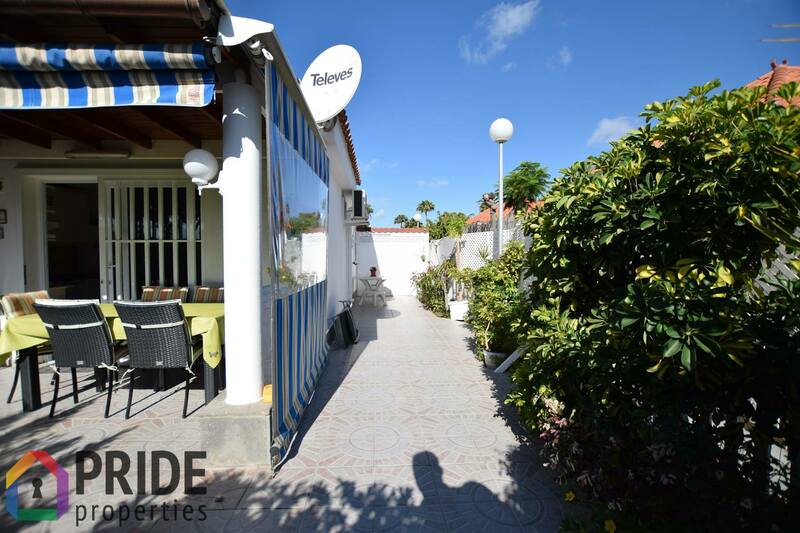 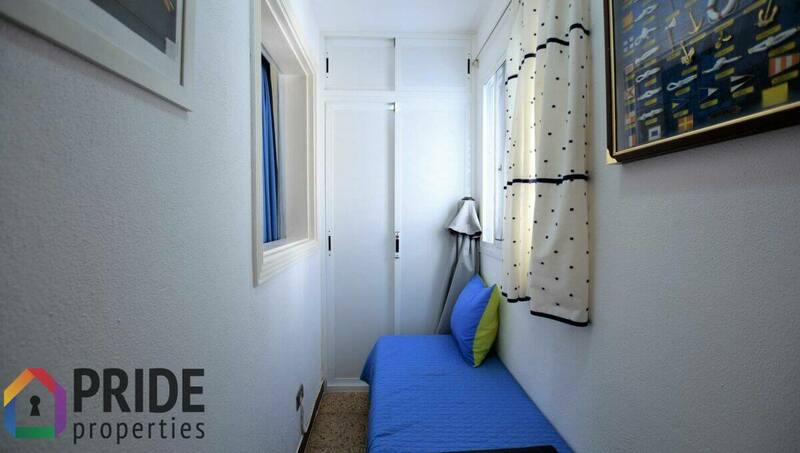 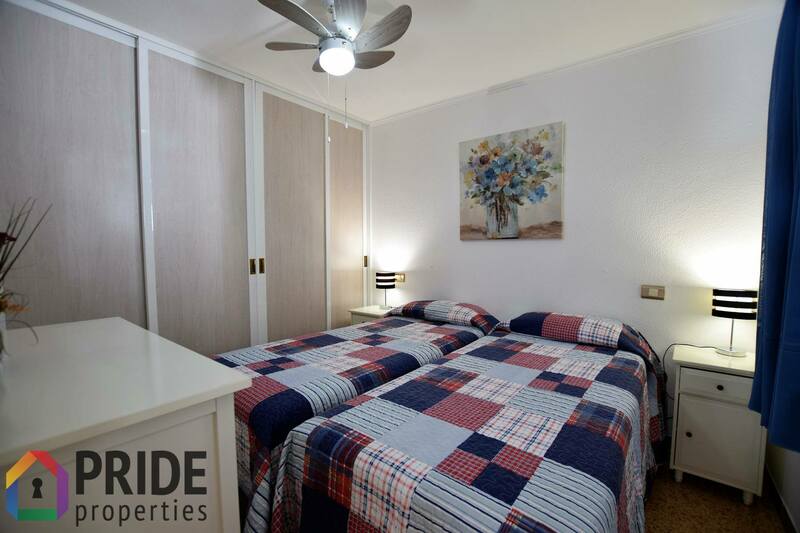 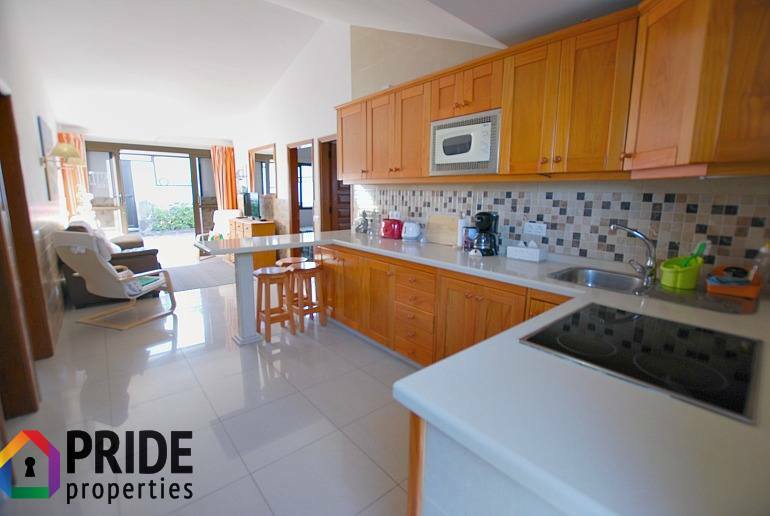 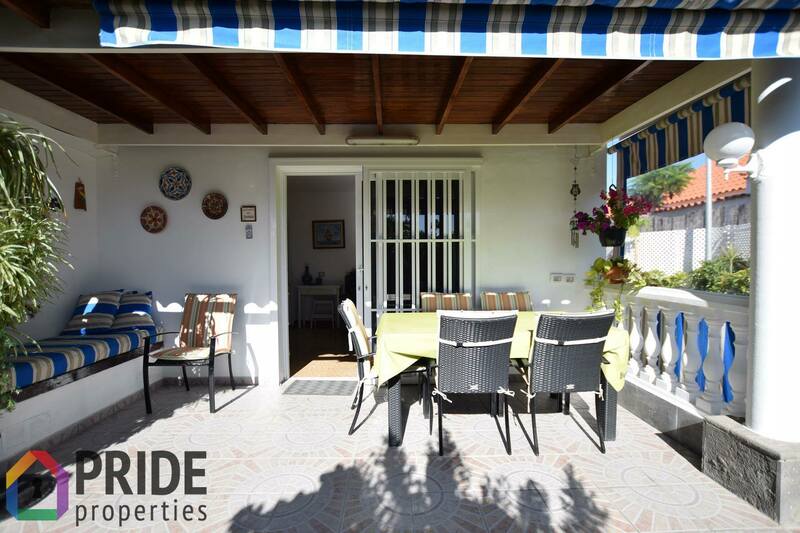 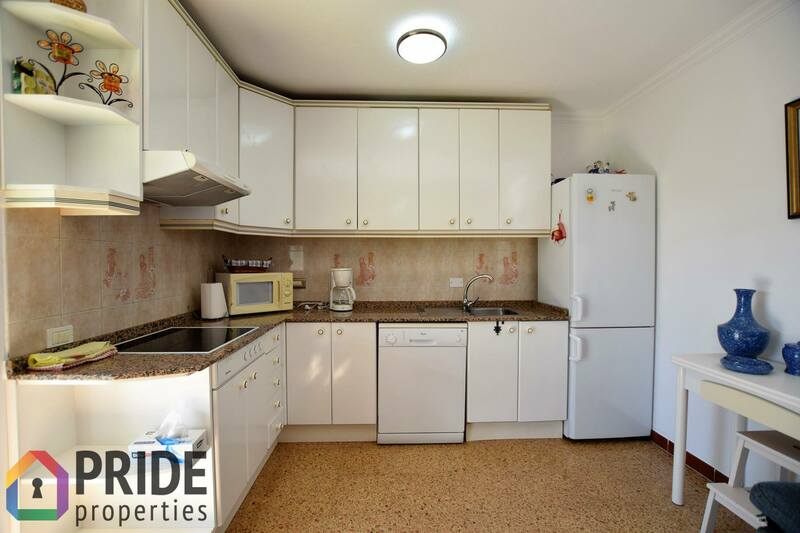 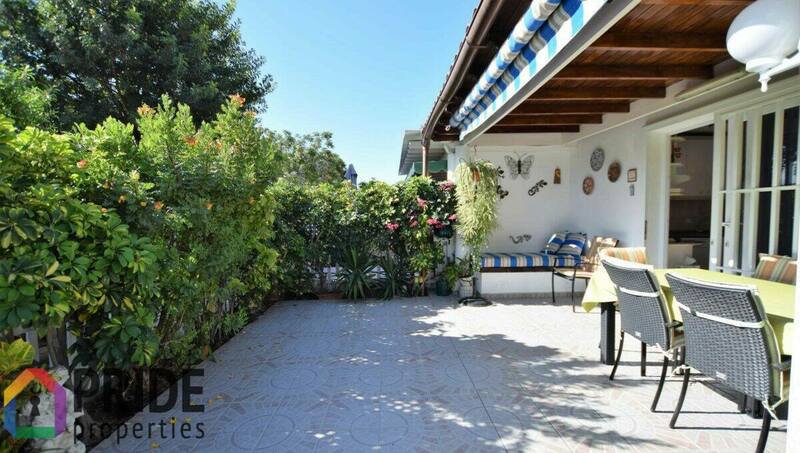 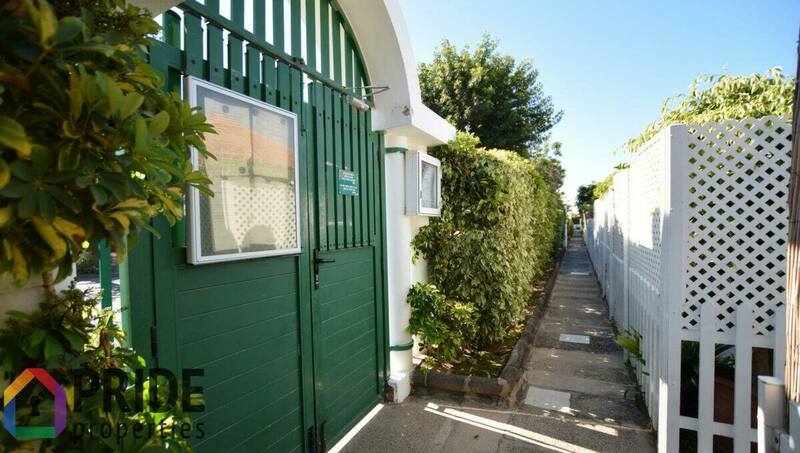 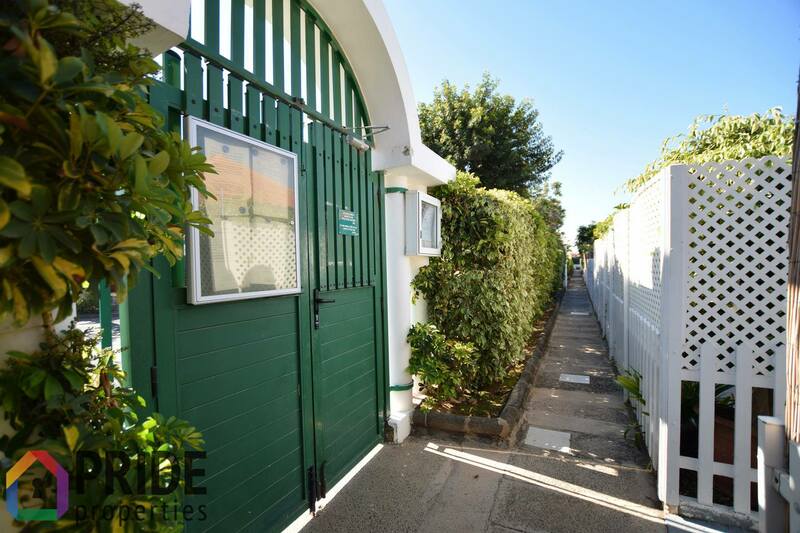 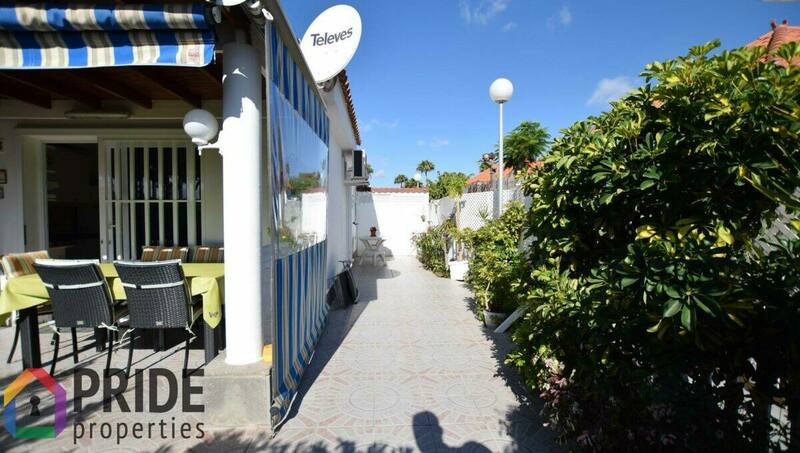 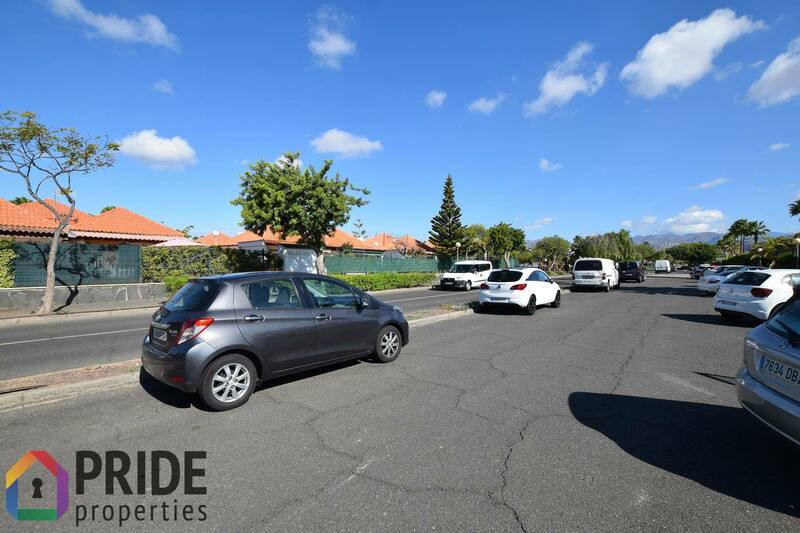 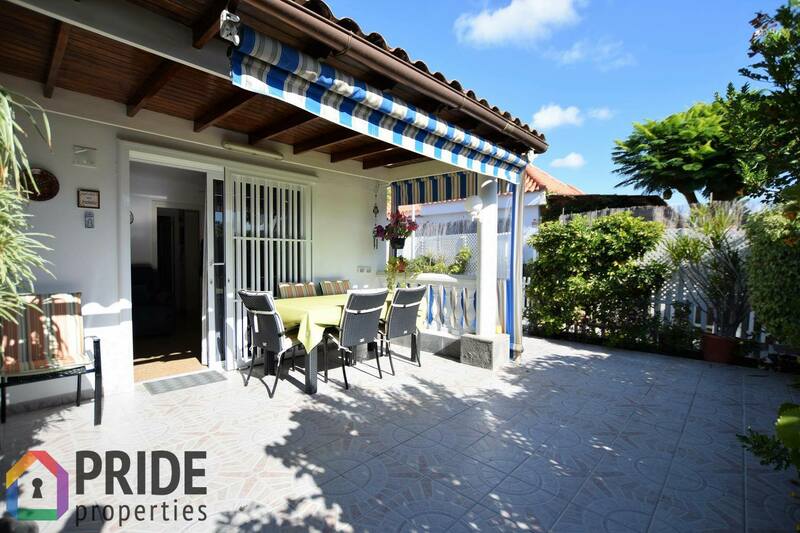 This 1-bedroom bungalow is situated in very small complex right on the bedding of the Barranco de Maspalomas. 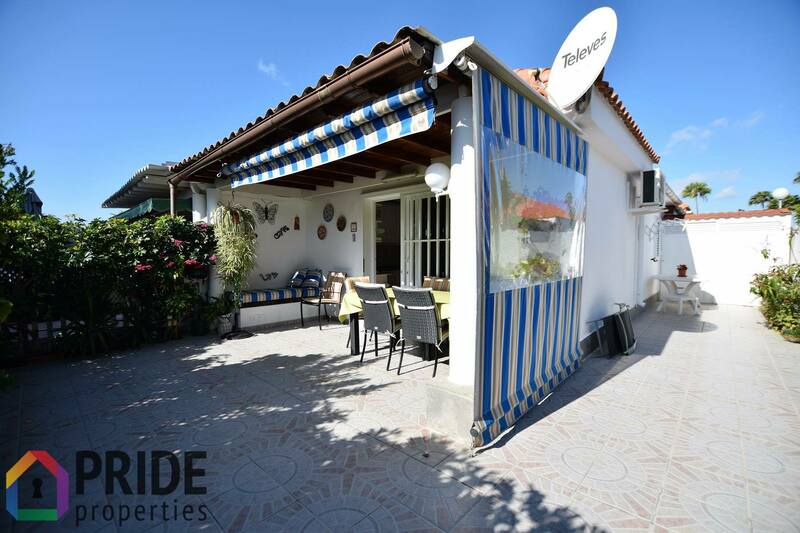 Right in the middle between the busy centres of Maspalomas and Playa del Inglés it is close to everything, but still in a tranquil location. 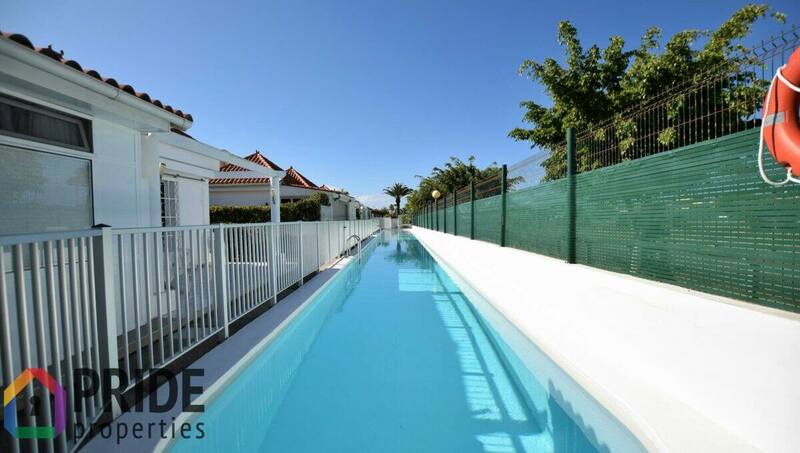 The complex also counts a unique swimming pool which due to its length of almost 40m allows you to actually swim. 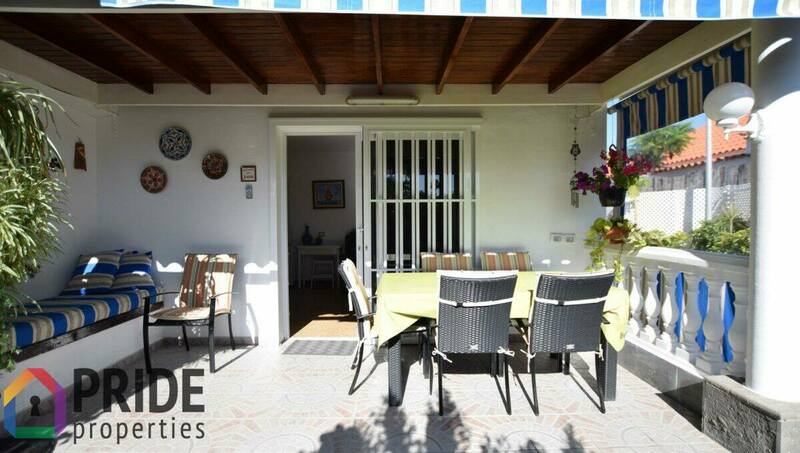 The bungalow itself offers a nice terrace with awnings that will allow you to enjoy or avoid the sun as you please. 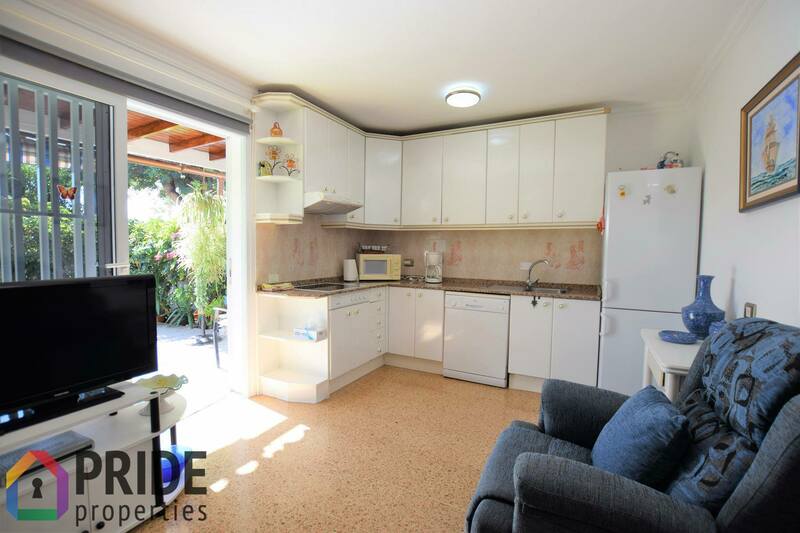 The substantial kitchen offers sufficient space to enjoy making a nice meal and the living area opens up to the terrace. 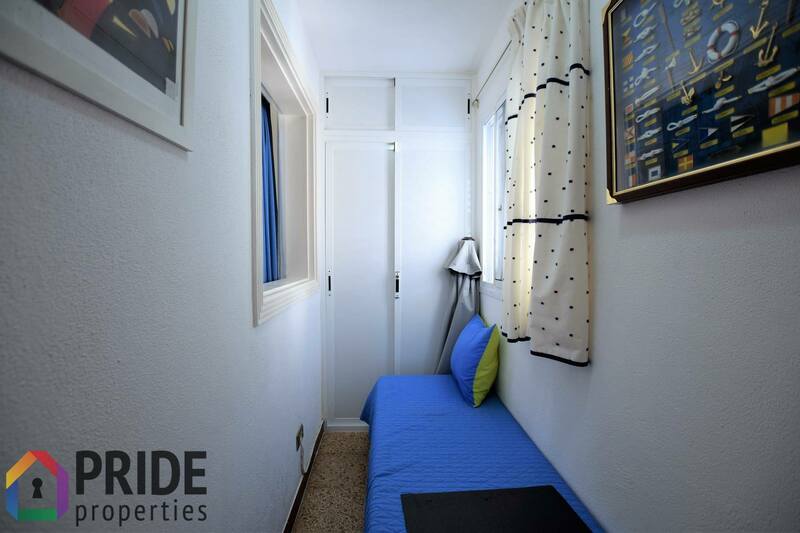 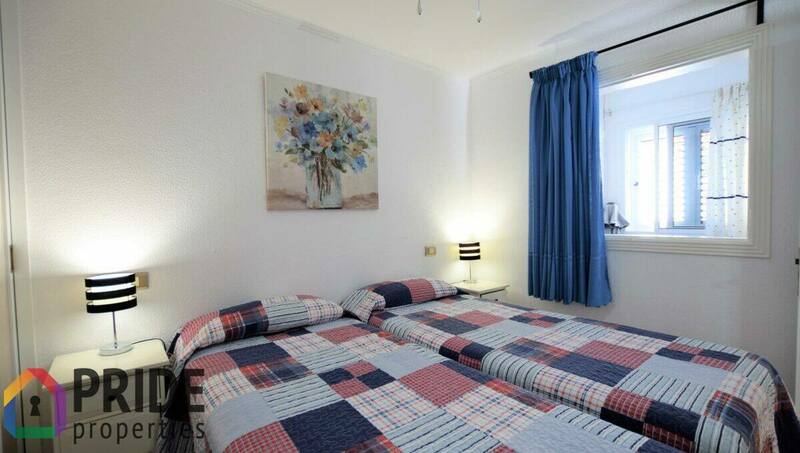 A small hallway connects to the master bedroom, the bathroom and a small elongated room that currently has a sofa-bed, but could also be used as a workroom or as a children’s bedroom with bunk-beds.